If you’ve never watched this documentary, then I urge you to do so unless you have a weak heart. Earthlings is a 2005 multi-award-winning documentary about speciesism by Shaun Monson. The film was narrated by Hollywood actor and animal rights activist Joaquin Phoenix. Earthlings also features a score by musician and activist Moby, who’s one of my favourite musicians. The documentary is about the suffering of animals for food, fashion, pets, entertainment and medical research. It is nicknamed “the Vegan maker” for its sensitive footage shot at animal shelters, factory farms, slaughterhouses, circuses etc… The film took around six years to complete because of the difficulty in obtaining footage within these profitable industries. You can watch the documentary online for free at www.earthlings.com . Posted: January 24th, 2010 under Entertainment, Knowledge. If you are a Lebanese expatriate and wish to watch MTV Lebanon channel live, you can now do that on my website at www.rabihdagher.com/iptv . Posted: April 9th, 2009 under Entertainment, News. 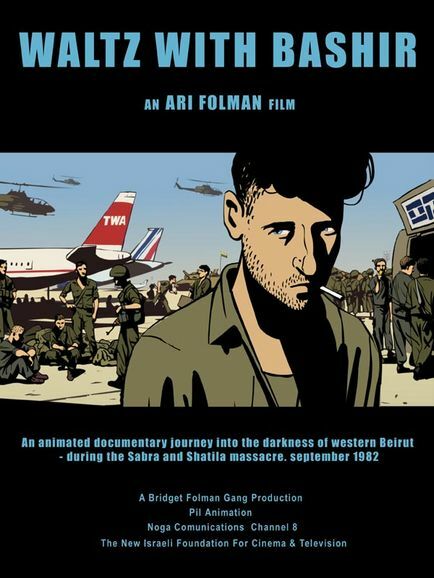 Waltz With Bashir - Watch it online for free! Although not a supporter of this movie, I decided to share it with the Lebanese people for the only reason that it was banned in Lebanon. Due to copyright laws, I cannot publish it here, so I am linking to other websites which are providing it. You can now watch it online at The Lebanese Inner Circle blog. The blog also provides information on how to download it. Posted: January 30th, 2009 under Arts.